The highlight of this wide-ranging event from our Prints & Drawings department is Tête de femme, de profil, 1905, an extremely early work by Pablo Picasso, executed when he was just 24 years old. Works by visionaries who shaped the trajectory of twentieth century art will also be offered, including Jean Arp, Marc Chagall, Salvador Dalí and László Moholy-Nagy. Iconic works by Thomas Hart Benton, Martin Lewis represent American art movements from the same period. 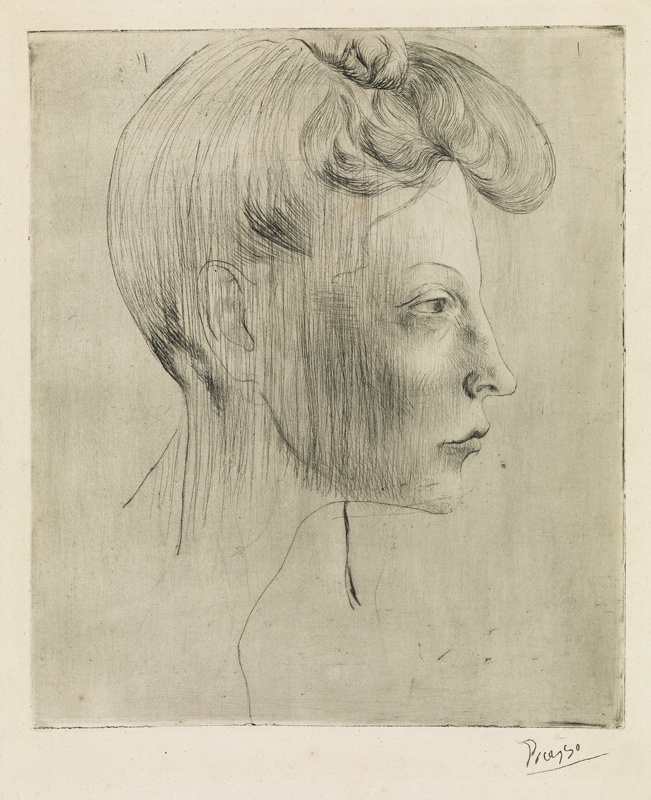 Lot 398: Pablo Picasso, Tête de femme, de profil, drypoint, 1905. Estimate $80,000 to $120,000. 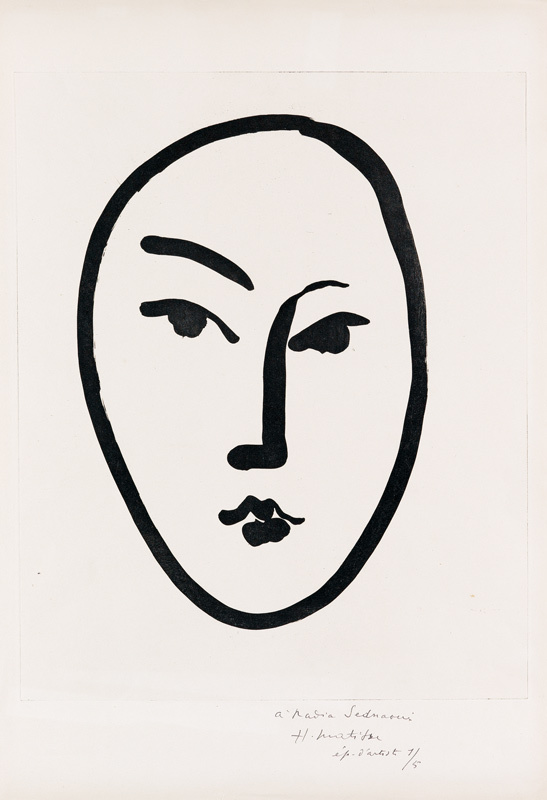 Lot 424: Henri Matisse, Grand Masque, aquatint, 1948. Estimate $50,000 to $80,000. Highlights from the dawn of printmaking include a premier selection of engravings by Albrecht Dürer, as well as a rare engraving and stipple-engraving by Giulio Campagnola of Saint John the Baptist, 1505. Self-portraits by Rembrandt van Rijn include one In a Cap, Laughing, 1630, as well as one In a Flat Cap and Embroidered Dress, circa 1642. Also available is the four-volume set of Giovanni B. Piranesi’s Le Antichità Romane, 1756-84, featuring 220 engravings of ancient Roman structures. 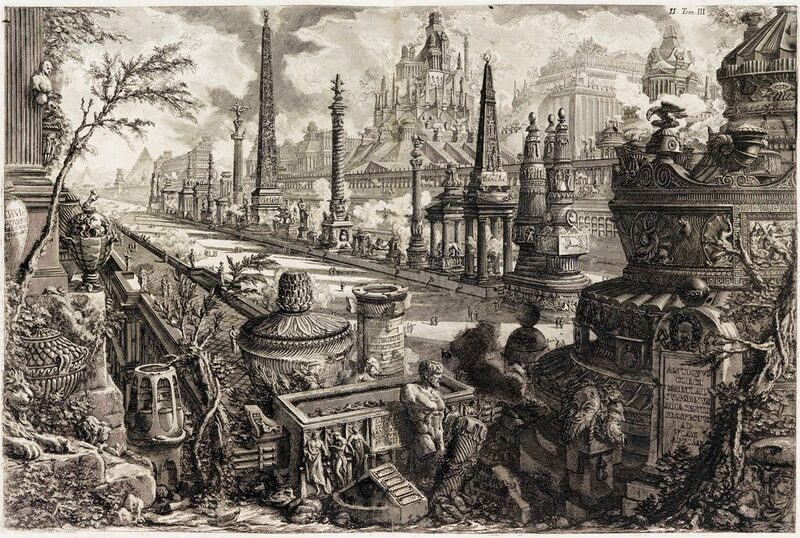 The book took eight years to research and produce, and established Piranesi as the authority in the field. 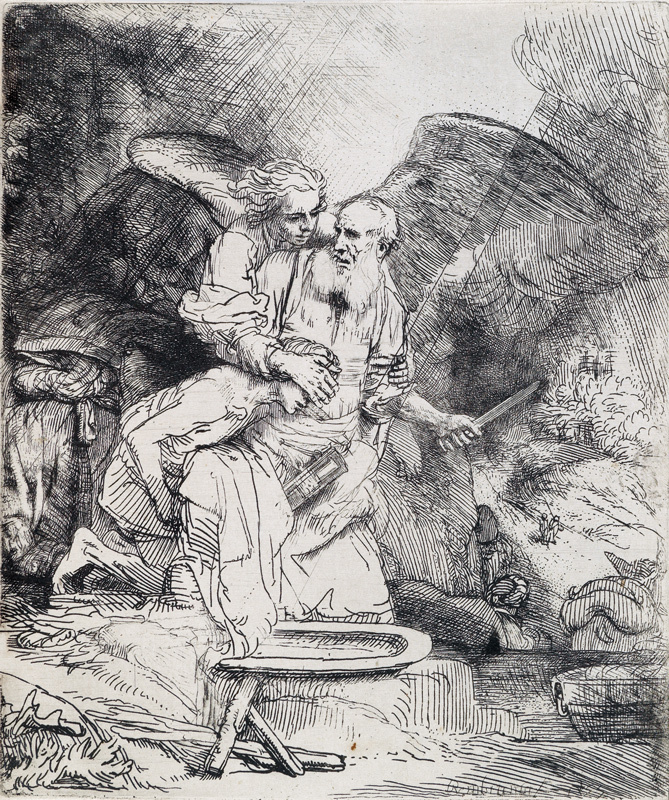 Rembrandt van Rijn, Abraham’s Sacrifice, etching & drypoint, 1655. Estimate $30,000 to $50,000. Lot 196: Giovanni B. Piranesi, Le Antichità Romane, set of 220 engravings in four volumes, 1756-84. Estimate $40,000 to $60,000. 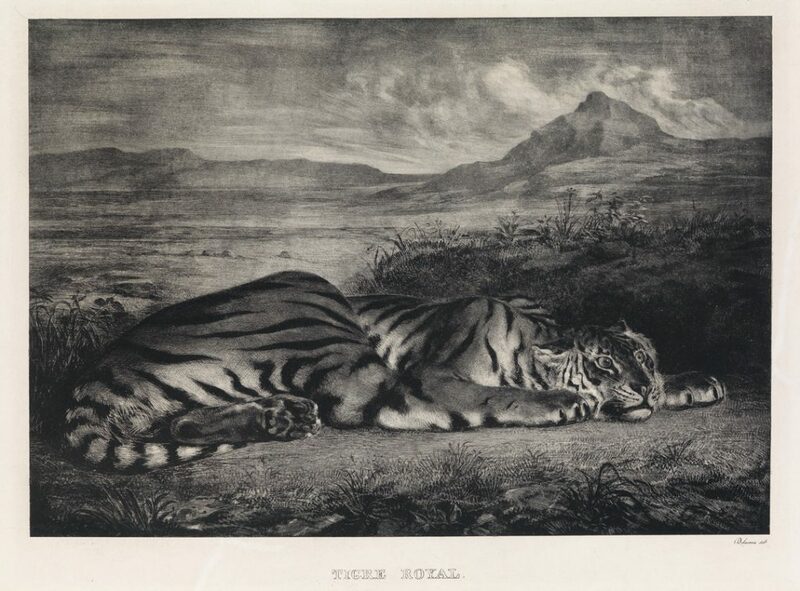 Lot 235: Eugène Delacroix, Tigre Royal, lithograph, 1829-30. Estimate $30,000 to $50,000. Lot 231: Francisco José de Goya, Dibersion de España, lithograph, 1825. Estimate $60,000 to $90,000. 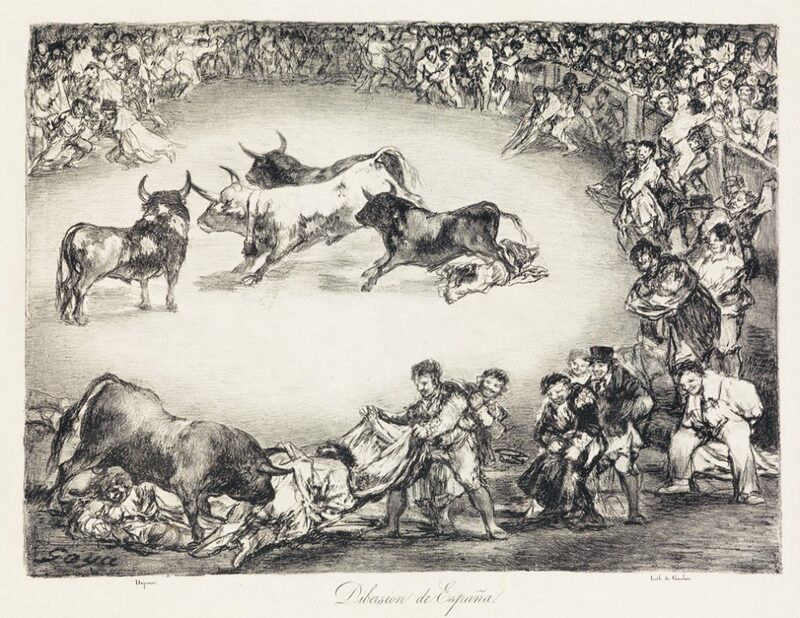 Important etchings by Eugène Delacroix, James Jacques Tissot and James A.M. Whistler illustrate the variety of styles covered in the nineteenth century, along with Francisco José de Goya’s Dibersion de España, 1825, a lithograph from The Bulls of Bordeau.